Menu Sunday-Saturday:11:00am - 10:00pm. Cocktails Sunday-Saturday 11:00am- 1:00am. 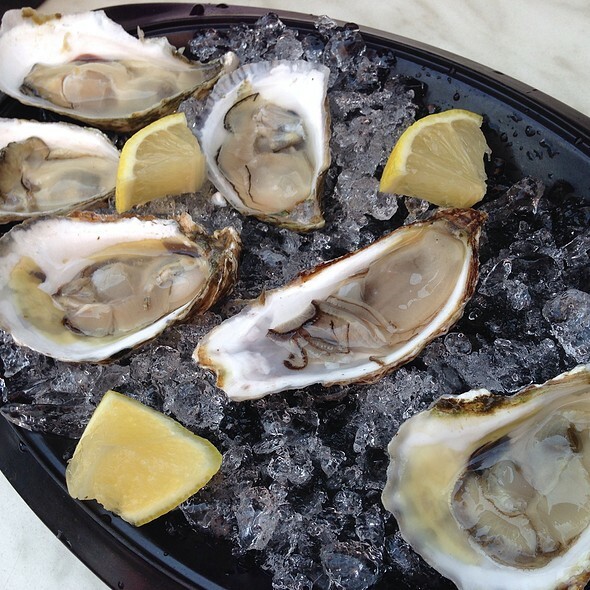 Dollar Oysters Sunday-Saturday: 4:00pm- 6:00pm and again 9:00pm- 10:00pm. Marliave offers an extensive menu of smaller portioned hors d’oeuvres designed to supply a lighter fare in an informal cocktail setting. The upstairs bar is an attractive setting for parties up to fifty persons. The entire upstairs is available for larger gatherings over one hundred guest. Boston's 2nd oldest restaurant, Marliave, has an upstairs lounge that holds up to fifty people, with its own private bar. The main dining room can hold up to sixty people and the room is enclosed in a wall of glass windows overlooking downtown. The Marliave, Boston's second oldest restaurant, has a tireless commitment to house prepared cuisine. Our orange, lemon, lime, and grapefruit juices are fresh squeezed daily. All breads, desserts, sauces, pastas, ice cream, and stocks are made daily in house and are prepared to order. The Marliave utilizes local fresh vegetables, fruits, natural raised animals, and the finest imported ingredients to create our food and drink menus. Not a great experience. Character and historic should not mean grubby. Food OK. Terrible service - not just slow but inattentive. It might depend on your expectations - nostalgic for some. I certainly look for better. We had a lunch prior to hitting the Boston Opera House for a show. It was a Saturday and the place wasn't busy and that was fine by me. The service was perfect. The menu selection wasn't large. My sirloin tips were perfectly cooked and the fries were excellent and the bread was an A+. Coffee was excellent and the prices moderate and we had a fantastic view from the second floor. My wife's ravioli's were fantastic. The brussel sprouts were very, very good. The steak tips were a bit tough but I think that's what you get with steak tips but it was a large helping and the flavor was good. Ravioli's = 5, Bread=5, brussel sprouts=5, coffee=4.5 (we're coffee nuts), steak tips=4, fries= 4.7, service=5, ambiance=5, prices=3.5 (but for Boston probably 4.5). Average to better-than-average food, nice ambiance for the over-30 set (self included) who hate screaming over the table at restaurants with bad acoustics, and I love how large and weird the layout of the entire space is. ...and it was so disappointing. We had a reservation. The service was extremely slow, but since it was a Friday night, we were patient. We were given the table right next to the door/server stand. 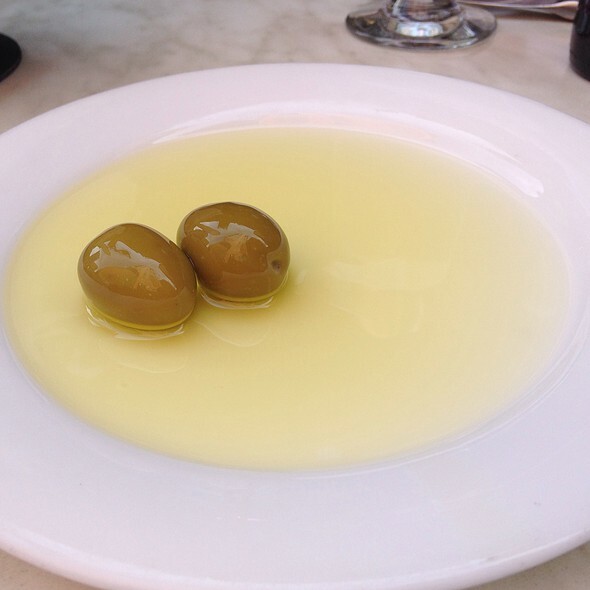 When the bread and olives came, the server spilled olive oil on the table and never cleaned it up. We eventually moved a plate over it so we wouldn't get our sleeves in the oil. Then we ordered food, again, it was very slow service. When the food finally came, the initial presentation was nice (with the covers being removed off the food), but as we ate my husband & I got a bit embarrassed. All of our food was so unimpressive. We got two orders of chicken under a brick, the steak fritz,and the salmon, and all of us were saddened at how little flavor the food had. 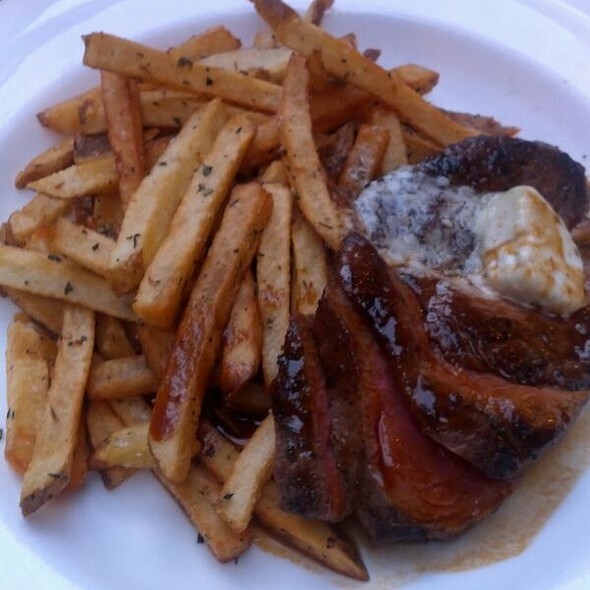 (expect the fries that came with the steak, they were nice!). I took the check for us all, and for $150 I knew I needed to write a review of lament. We were ready to pay this much for great food.... but this was a waste. If Marliave is truly owned by the same person as Grotto, there needs to be some work to bring this place up to scale. Very disappointing. Not sure why they called early morning to confirm who’s birthday was it. No birthday cake. They offered a seat at the bar even thought we had a reservation. Lime on the drinks was dry. Fast food like place - orders were ready in less than 5 min. Risotto was bland. Steak was chewy. Truffle fries were too greasy. Will never go there again and I won’t recommend it to anyone. We arrived on time for a reservation but had to wait for 20 minutes to be seated. We ordered drinks at the bar but had to pay before being seated at the table. The server was friendly but the main course was shockingly poor. The cacio e pepe was overly salty, over cooked and served in a pool of oily broth. The wine was overpriced. It was a very disappointing meal from start to finish. Food tasted amazing. Small servings for the price you pay. Cocktails are expensive but very good. It was extremely hot in there until I think they saw everyone was super flushed and finally turn the heat down. Overall it was pretty good. 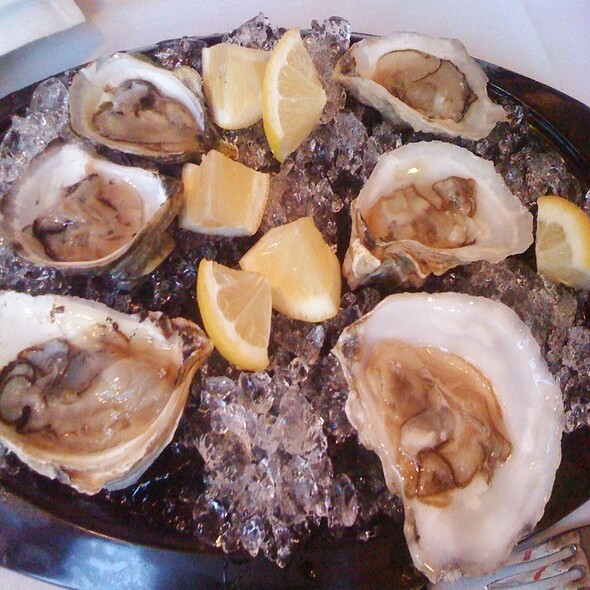 Dollar oysters were great. Steak was bland, came sliced but not sliced against the bias so somewhat tough to chew, and overpriced. Ordered medium-rare, got rare, which I am okay with but it wasn’t what I ordered. Drink selection was great and reasonably priced. Overall okay but nothing special. Food was obviously made to order, fresh and delicious. Did nice job mixing Italian and French options. Something for everyone. This place had been on my list for a while, and it was well worth the wait. My first thought through the door was, this looks old, but after heading upstairs, it was bright and welcoming. It still had old charm, but was an updated black and white scheme, really cool. 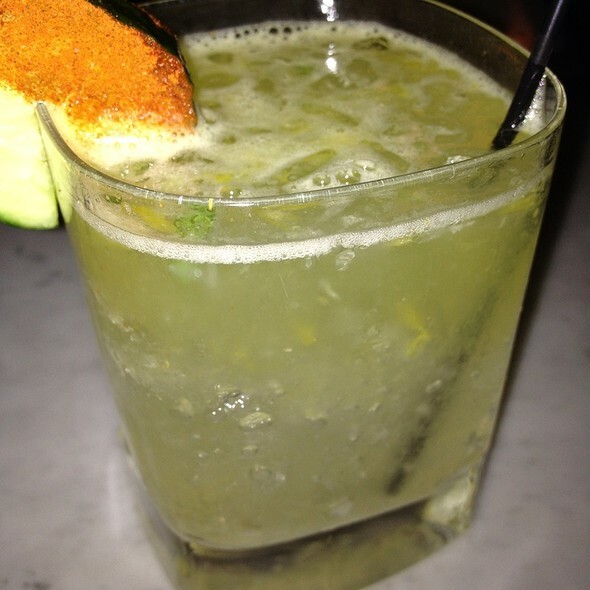 The service was excellent, the drinks were different and delicious, and the food was amazing. I love trying new places, but this may be my new dinner before the theatre restaurant. Be prepared for tight quarters and a lot of noise. The bar and tables are very close so if there is a group of people gathered at the bar and you are seated on the first floor it will be difficult to have a relaxing dinner. Food was reasonably good but nothing to get excited about. We picked this restaurant because of the proximity to to the theater we were going to. It is in an odd location and might be hard to find since it is at the end of a very small street/alley. It was very noisy. Our food tasted fine but it took a long time. Our waitress was kind but seemed overwhelmed. Lighting could also be improved. Very charming restaurant ambiance. Food was tasty but the shrimp in my scampi was overcooked. The sauce was delicious. I was frankly disappointed with my meal. I chose Marliave to celebrate my daughter-in-law’s birthday. Fortunately she was happy with her meal — the salmon, which said was very tasty. I chose a Caesar salad, as did my son, and both of us found it heavy on the dressing and that the dressing itself wasn’t that great. I had the chicken cooked under a brick and served over the mushroom risotto. Originally I was going to have just the risotto and I’m glad I didn’t. It also wasn’t particularly flavorful. The chicken was fine, nothing special, but at least it gave some taste to go along with the risotto. The dessert was delicious — a warm chocolate cake with frankly tasteless vanilla ice cream. The wines we had were good and my kids enjoyed the Amaro at the end of the meal. But, while the service was adequate, there was nothing particularly outstanding here — for $250. I have had a much better experience at their bar eating fish and chips or enjoying their raw bar. I think I’ll stick to that and find my fine dining elsewhere. We had a wonderful dinner at Marliave. I was only disappointed that they were going to charge me $35 to bring in a cake to celebrate my boyfriend's birthday. Amazing restaurant! The cacio e pepe is my favorite dish, and you cannot miss the Parmesan truffle fries! Great food although I wish the entrees came with a green side of that we were told to order one. Our waitress was friendly but did not know the menu well and had to check several times with other waiters to answer our questions and dropped used silverware on our table twice. Overall, however, the ambiance and food were great!! Marliave has been a neighborhood gem for many years. The cocktails are innovative and creative and it has a lively bar scene. The food is always well prepared, consistent, and beautifully presented as covered plates that are revealed upon their being served. Can't go wrong with Marliave. Great for a special occasion, a friendly gathering, or a quiet romantic dinner. The street entrance to this old-time place has such distinction, it makes it feel really special. We sat upstairs and enjoyed a more quiet ambience. The service was excellent and unpretentious. While not the most imaginative menu ever, everything was fresh and prepared with excellence. We really enjoyed our evening at Marliave. Took my partner here after years of enjoying the oyster happy hour, cocktails, and the breakfasts @ the Cafe (all of which are 5-star experiences on their own). We has a great time - it was restaurant week, but they offered most of their menu from what I've seen in the past. 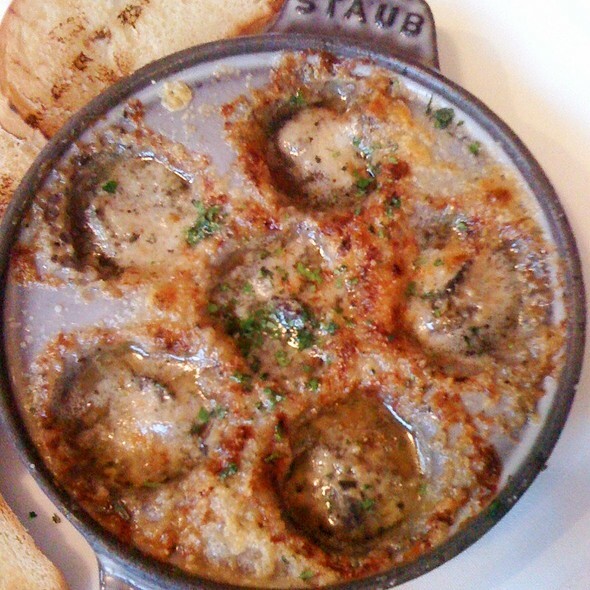 I had the escargot (have already recommended Marliave to two people based on this dish alone), the wellington (perfectly cooked medium rare) and the cheese plate. My only comment is the food runner did not tell me which cheese was which - but they were all fantastic. He had the mac and cheese (awesome), the chicken under a brick (he loved it) and the chocolate cake, which was rich and decadent. We each had a cocktail to start and then split a tawny port for dessert. All in all, a wonderful evening. And if the restaurant is reading this, our server was phenomenal and professional during a very busy evening. Restaurant week! What a steal. Went for restaurant week, as Marliave has probably the best menu in Boston for this! Had the truffle mac n cheese app, the scallops entree, and a cheese plate for dessert. Excellent food, reasonably priced wine options. Recommended! 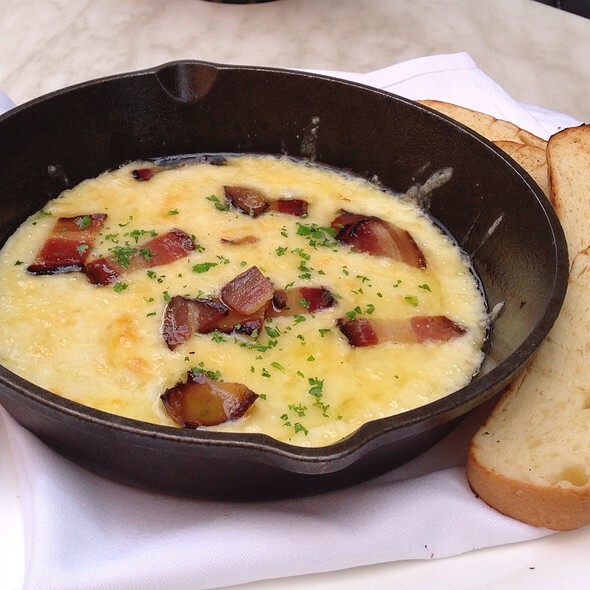 We went during Dine Out Boston week, and enjoyed a wonderful 3-course meal. Great service and a beautiful room. Good place, fancy and very good food. The service could be improved, waiters seem to not care of you much, they brought us oysters after the starter instead of before. Enjoyed a great dinner here while catching up with my girlfriends. I got the mac n cheese app, scallops and sweet potato ravioli, and chocolate cake as part of restaurant week, and each dish was tasty and well presented. Best was the scallops as they were cooked just right, and paired well with the ravioli. Ambiance was nice and booth was cozy and roomy for our party. 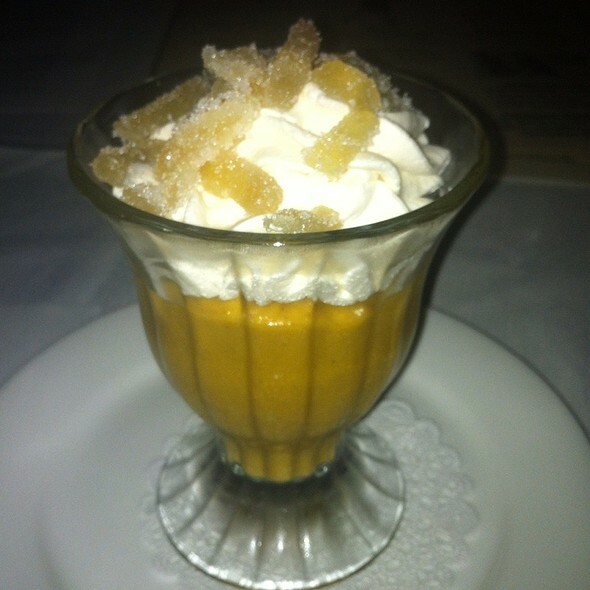 The scallops were amazing and the chocolate cake and butterscotch pudding were two of the best desserts we've ever had! Despite excellent plating presentation, I found myself in a heap of disappointment to say the least with the food itself based on what I ordered. Beef carpaccio: a few too many slices of cheese which completely covered up what should have been the aroma of the thinly slice beef. Unfortunately the beef became too dry and much was stuck to the plate, indicating a possibility of taking too long to plate and serve. Beef Wellington: most disappointed at the crust layer- soggy; what a waste of crust; the steak itself was rough and not tasty, although cooked to the right color for medium rare. Was this tasted before serving? The foie gras that went along with the Wellington retained a heavy grainy texture and liver taste abnormal to standard foie gras. Last but not least the box of truffles for dessert deserves a second look into mixing of flavors; not all the pieces were equal in flavor as some were much sweeter than others but texture is very good. I had high hopes with an appetite upon entry but ended with disappointment to say the least. Our server was fantastic. The food runner however was a different story all together. He would drop food on the table without getting the order to the correct diner (there were only 2 of us) and was abrupt and rude with his interactions. He was a major blight on an otherwise great dining experience. Foods were very impressive. We went for dine out Boston and it had many choices for each course. Warm and lovely place. The service was very good! The food was on average. The same dish tastes slightly different on each order. Everything was great and the food was well worth the long wait between courses. The wait staff was a little slow but overall it was awesome. Thank you! This was our first time. We went with friends that had been enjoying this place since grad school. So good, across the bar. Cocktails were on point and the food was perfect! We were disappointed tonight. We have always loved this restaurant but not tonight. The service and food was fair but not great. It’s was obnoxiously loud and we did not like where they sat us at all. Probably won’t be back for awhile. They also hustled and rushed because it was restaurant week and we sure felt it. Pushed out the door. Not a good vibe for your regulars. Wow! Went for the first time for our anniversary. Everything was spectacular, from the drinks, to the service and oh my god- the food! 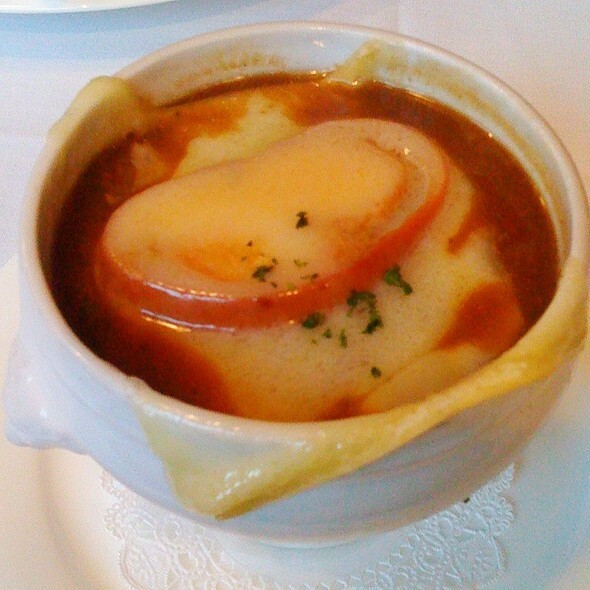 It was happy hour so we went overboard with the oysters and none were to be regretted; my partner had scallops which were to die for and you can’t go wrong with the French onion soup. The service was warm and so thoughtful, they even had an anniversary card for us at our table with an incredible view of downtown. I feel so lucky we were able to eat there! Thank you Marliave! We will definitely be back again!